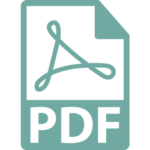 Want to get PGVCL Vidyut Sahayak syllabus and material pdf? then you are in the right place. Paschim Gujarat Vij Company Limited PGVCL is an authorized company working under the state government of Gujarat. The PGVCL is an electricity company incorporated by Gujarat Electricity Board. PGVCL is a Power Distribution Company of erstwhile Gujarat Electricity Board having Offices at different locations in Gujarat State. PGVCL offers a challenging and rewarding career to young and dynamic Graduates. The primary objective of PGVCL is for long-term sustainability of the firm in the field of electrical industry and supply reliable power to the state without any outage. 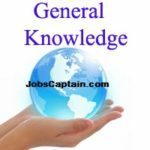 Join Jobs Captains official telegram channel for early updates of government jobs and GK and GA materials. The Question Paper Will Be In English & Gujarati Language Only. 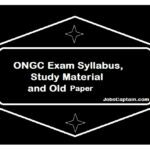 The Exam will be of Online Written Objective Type. The Exam will be of 100 Marks. There will be a Negative Marking of 1/4 Marks for each Wrong Answer. To get a job opportunity in PGVCL, postulation need to prepare well for the exam. Perfect preparation is possible when participants concentrate on the PGVCL Vidyut Sahayak Frequently Asked Questions and Answers. 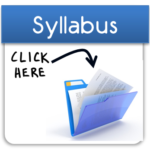 This is all about PGVCL Junior Assistant Syllabus 2019 and Materials, Please share with Your friends. Thank you for providing all the information about PGVCL syllabus and materials.